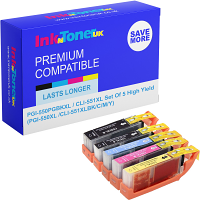 Home Ink Cartridge News HEWLETT PACKARD ARE AT IT AGAIN WITH NEW CARTRIDGE ERROR MESSAGE! This time last year Hewlett Packard (HP) released what they called a “security update” which locked out a widespread number of printers for people who were using non-original cartridges. This caused an outcry throughout the industry and from many HP customers, which resulted in an apology from HP and a statement that they would reverse the update within a matter of weeks, which they did do. They did however warn that they would endeavour to block the use of non-HP cartridges in the future. 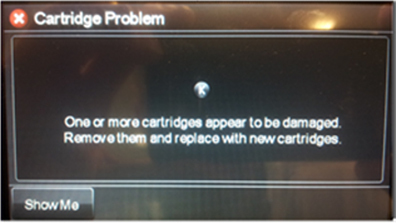 Well now exactly 1 year on they’re at it again with a new firmware update for it’s range of Officejet printers resulting in “cartridge problem” error messages. No doubt uproar will ensue but it looks like HP are willing to take the flack. This years security update however is a little different from last years and not quite so nasty, because HP are offering a way to resolve the issue by downloading new firmware from their support page, which you can access HERE.